We were thrilled in 2017 to have Wood Bridge Farm Valedictorian join our herd. We were looking for a new herd sire with a pedigree that packed a punch and also a buck that was small in stature, Val most certainly fits the bill! At 18 months old he stands at just 18 1/2" tall. He is extremely correct and proportionate, balancing width and depth throughout. He possesses great dairy strength, refinement, flatness of bone, open ribbing and loose skin. He stands on good feet and legs with strong pasterns. His Sire, Understated is the son of two amazing pedigrees. First, CH Wood Bridge Farm Apache Wind carries an impressive LA score of EVE 90 at the age of six. 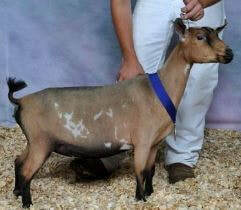 He has also already produced two Champion daughters and one Champion son. 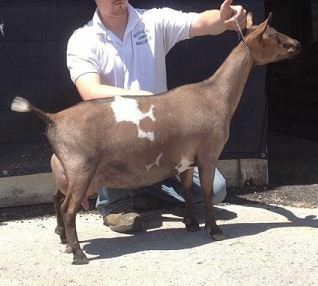 His Champion daughter Wood Bridge Farm Teachers Pet was the 2014 ADGA National Junior Champion. Apache Wind is also the ANDDA All American Two-Year-Old for 2012. 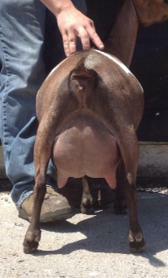 Understanded's Dam, CH Wood Bridge Farm Belladonna is the only two-time winning ADGA National Nigerian Champion and Best Udder both years as well! 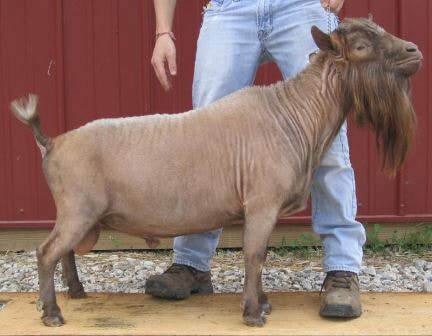 Understated himself is Sire to the highest selling Colorama kid in ADGA history. 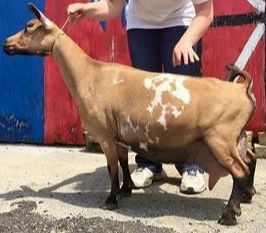 Wood Bridge Farm Spelling Bee sold for $16,100 in 2016! Spelling Bee is Val's full litter-mate sister. 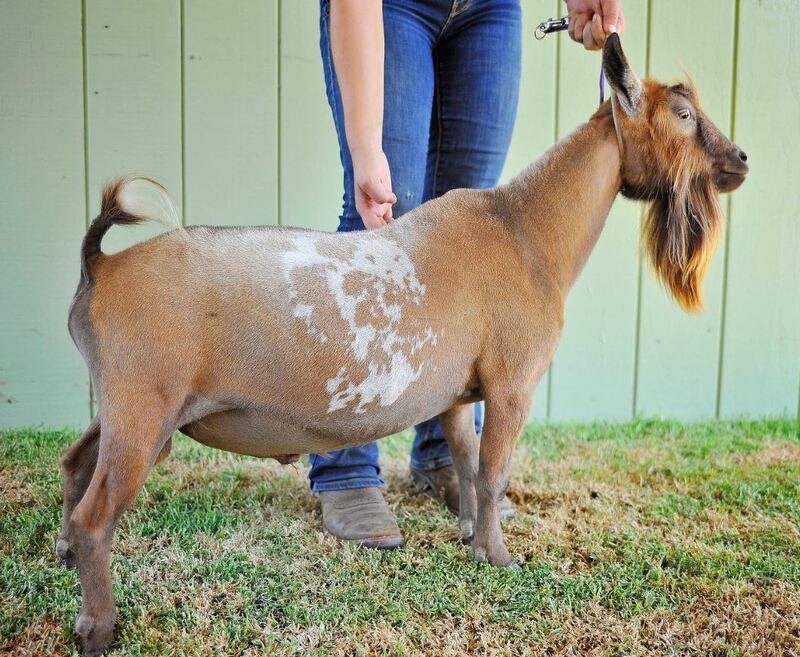 Val's Dam, Teachers Pet is a finished Champion and the ADGA 2014 Reserve Junior Champion. Both on paper and in person, this guy is the total package! It looks like Val is going to be a VERY small buck when he reaches mature size. At almost 2 years old he is still under 19" tall.